I will never, ever eat at Taco Bell again. Are they serious with this sh*t?! 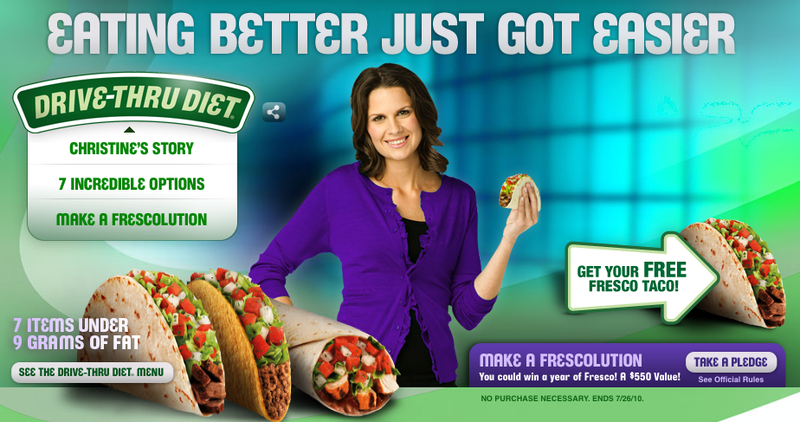 Apparently this woman lost weight eating “healthy” items from Taco Bell and now she is their new poster child promoting this “Drive Thru Diet”. On they website you can pledge to make your own Frescolution or send motivational e-cards to your friends who have made one. Entry filed under: Comics, Products.